'Look, I am about to die,' Esau said. Then Jacob gave Esau some bread and some lentil stew. He ate and drank, and then got up and left. So Esau despised his birthright." Jacob Could See the Unseen and Stay Focused On It! Jacob knows exactly what he wants. He hasn’t taken his eye off the goal. He sees something that is of value and he sees that the person who has it is not interested in pursuing the full potential. Without hesitating Jacob is ready to make the switch: stew to gulp down in an instant in exchange for a birthright that will be developed and advanced through all future generations! Jacob could see what Esau could not see. 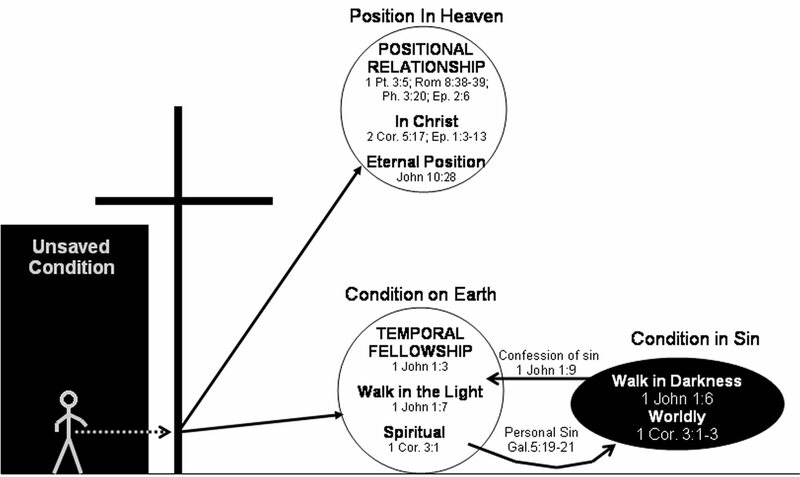 Failure to understand the promises of God will result in us not looking for there fulfillment of those promises. Refusal to activate the power of God’s Word will leave us abandoned to our own schemes and strategies. Distraction away from seeing the potential God has placed in our lives will ultimately result in our being rejected when the time comes to receive the benefits and blessings of the truth. Eventually, Esau would seek it, and seek it with tears, but he sought it too late. We must see and understand the Truth and its potential while it is unseen. Columba was born in north Ireland in 521 AD. Columba’s family was Christian and he received higher education at church schools and was noted for his scholarship. Columba was also noted for is tall, strong stature, being a great speaker with a sharp sense of humor, but also having a temper that got him into several conflicts with the clan’s chieftain named Diamait. In 561 Columba copied Jerome’s Latin translation of the Psalms and the Gospels without permission. When Columba refused to surrender the manuscripts a tribal war broke out between his supporters and Diamait. As a result 3,000 men died. To preserve his life and to do penitence Columba left Ireland to evangelize the Scottish Isle of Iona. There he ministered among the Picts and the Druids with success. Eventually Iona developed a reputation for education and evangelized Europe. the rah cows (ugly cows) of Josephs dream in Genesis 41:19-21. Do I get distracted by the visible needs and immediate gratifications? I will spend time focusing on necessities of the future and eternal satisfaction. "Whoever loves discipline loves knowledge, but he who hates correction is stupid." 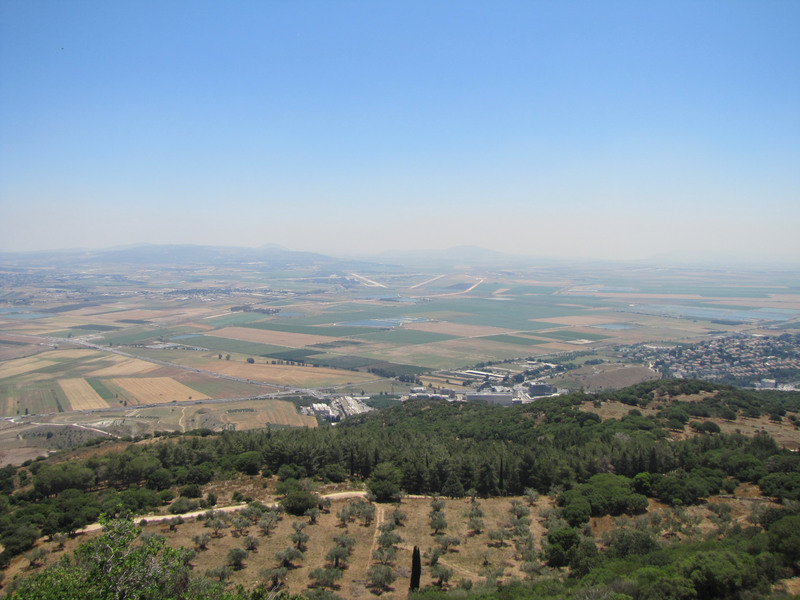 Looking east down the sides of Mount Carmel where Elijah built his altar and overlooking the Jezreel Valley. 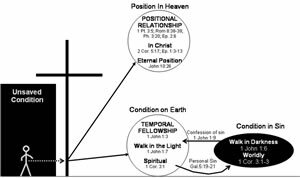 (click on image for larger size) Positional sanctification and temporal sanctification.